Are you on the fence and still deciding whether a law degree is right for you? Or have you bravely decided to pursue a career in law and are now faced with the prospect of justifying your choice to potential employers and university admissions officers? These questions can prove to be more difficult to answer than you might expect. Some hopeful future lawyers choose to answer this question by referencing personal experiences or a particular event that ignited their passion. However, there are some aspects which distinguish a law degree and a legal career from other disciplines and these can be used as a basis for you to express your own reasons for pursuing law. A law degree is more versatile than it is given credit for. Law students can expect to graduate university equipped with essential skills for a whole host of professional paths. Formal writing, critical analysis and the ability to explain complex ideas are just a few of the highly transferable skills which law students develop during their degree. Since law is a subject which combines theory and practice, students are forced to practice applying theory to individual cases at an early stage. Furthermore, activities such as mooting and legal research allow law graduates to develop some of the most in-demand professional skills, including public speaking, persuasive presentation and attention to detail. This surprising variety of abilities puts law graduates at the forefront of recruiters’ minds. It is important to remember that a law degree can open doors to a wide range of professions such as research, education, banking and public service. However, if you do want to work in the legal sector, a law degree boasts clear postgraduate options to take you all the way to qualification. 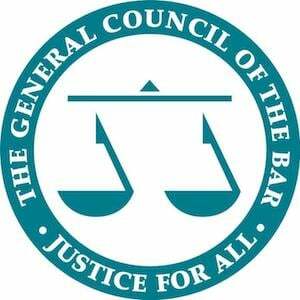 You could study for a master’s degree in law (LLM), complete the Legal Practice Course (LPC) to qualify as a solicitor, or chose the Bar Professional Training Course (BPTC) if you want to become a barrister. A law degree also gives students numerous opportunities to study or work abroad as part of your university course or professional training. With law being the third most popular university course for international students in 2014-2015, you can even broaden your horizons simply by meeting fellow law students from around the world. In addition to the wide range of transferable skills and post-graduation pathways, law is a subject synonymous with academic excellence. The tough entry requirements alone are testament to the fact that law students rarely shy away from a challenge. A law degree offers both breadth and depth of legal knowledge. Students will generally study 12 or more modules on their undergraduate degree and by the end of it will probably learn a whole new legal language. The determination required to study law really allows those willing to push themselves a chance to grow and develop academically. The exposure to the detail of several complex areas of law can open your eyes to a whole new perspective; not only on law itself but also on the human life it is so closely connected with. Hear from lawyers, legal experts and keynote speakers at our flagship conference – all for just £10 per ticket! Are you better suited to being a barrister or a solicitor? Try our quiz to see which is right for you!